For many power users, 16GB just doesn't cut it any more, especially when the world's leading smartphone manufacturer insists upon using a third of that for its customized Android build. Combine that with a still-outrageous premium for those few models that of phones that include extra storage, and you've got a recipe for frustration. 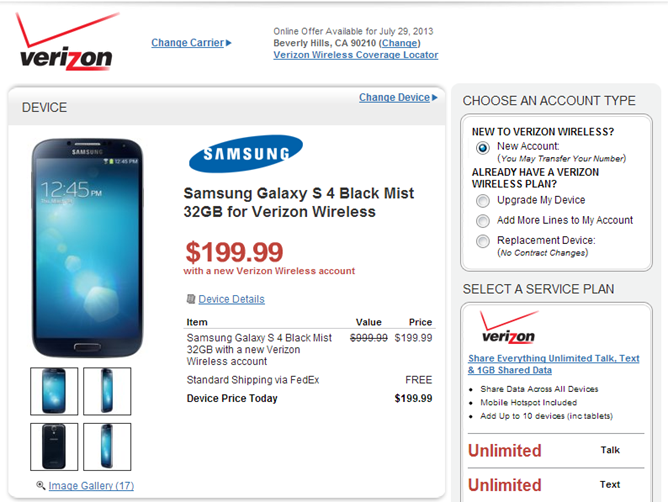 But the Galaxy S4 situation just got a little less rage-inducing, at least if you're a prospective Verizon customer: both Amazon Wireless and WireFly have dropped the 32GB version of the Galaxy S4 to $199.99 on-contract. That's $100 off the original retail price, and the same price that you'll pay for a 16GB model at any Verizon store and most of its third-party retail partners. Big Red currently offers the 32GB model for $249.99, which is at least a bit more reasonable. 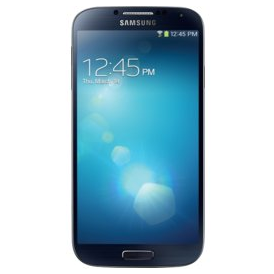 The cheapest we've seen the 32GB version of the S4 before now was a deal at WireFly for $220. Both outlets are offering the deal to new customers and returning customers who sign a new contract, both offer free shipping (Amazon has free two-day shipping without a Prime account) and both offer the phone in both black or white. Unfortunately, the 32GB model is still at least somewhat hard to come by: the black version is out of stock at Amazon and the white model is shipping "within 1 to 4 weeks." WireFly doesn't seem to have any stock issues at the moment, so that's your best bet if you want a phone sooner rather than later. Dear Samsung: please bump up your "default" storage already. It would be great if by this time next year, I didn't have to hunt for a phone that can hold all my apps and local music, m'kay? Use the search function on Wirefly.com for alternate colors - their URLs tend to redirect to the last one you viewed.